NASA reports unprecedented melting of Greenland’s ice sheet according to measurements taken by three independent satellites. 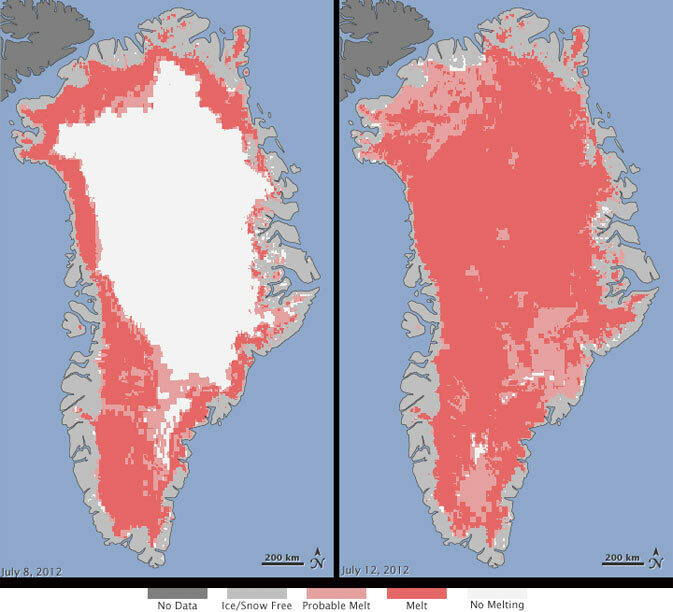 The picture on the left dated July 8, 2012 shows about 40 percent thawing of the ice sheet. The picture on the right taken only 4 days later shows 97 percent thawing. NASA says about half of Greenland’s ice sheet melts naturally over an average summer. In 30 years of measurements they have never seen this level of thawing.